Minecraft gaming commentator and animator known as mlgHwnT who joined ZexyZek, MigMacNation, and others the collaborative channel, Team MVG. 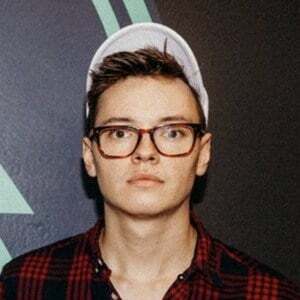 He later created the Sugar Pine 7 channel, which went on to amass over 1.1 million subscribers. He began his YouTube career in January of 2011. He has created animated series called "To Kill a YouTuber" and "Wild Adventures." Originally from Illinois, he moved to California in February of 2015. He's engaged to be married to Alyssa Terry. He has collaborated with numerous other YouTubers, including AviatorGaming, SkyDoesMinecraft, Deadlox, Bashvurse, MunchingBrotato, and KKcomics.